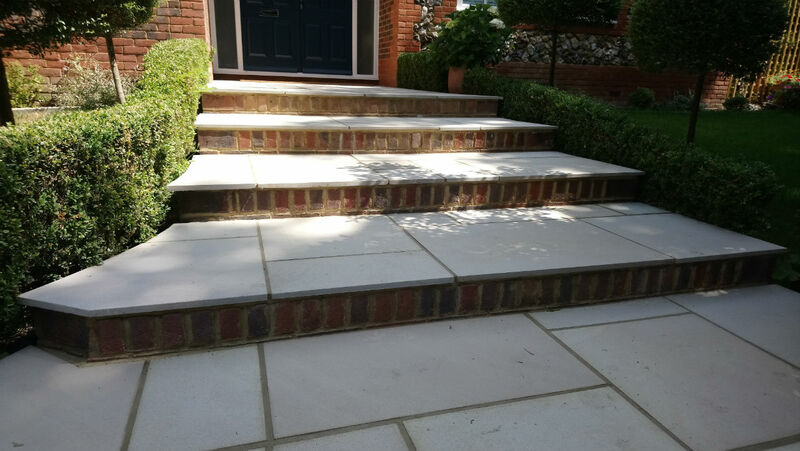 The front steps and other paved areas at the front of this attractive house on the border of Penn and Hazlemere were in need of a revamp. 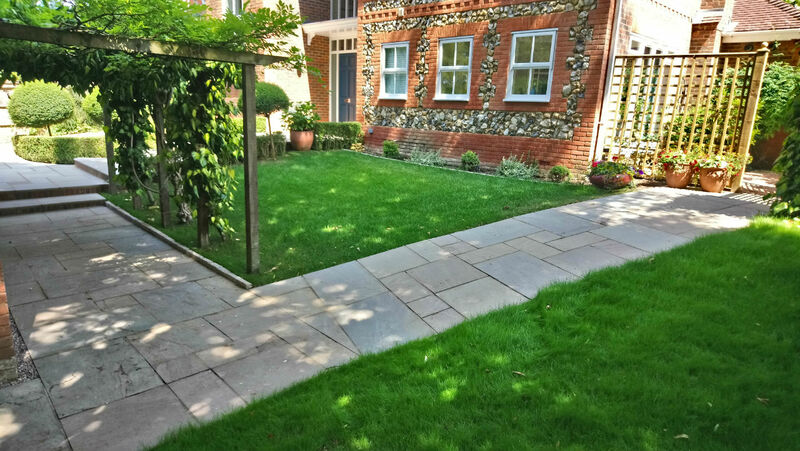 Also, the large expanse of ground surrounding the detached garage building was bare and spoiling the look of the front of the house. 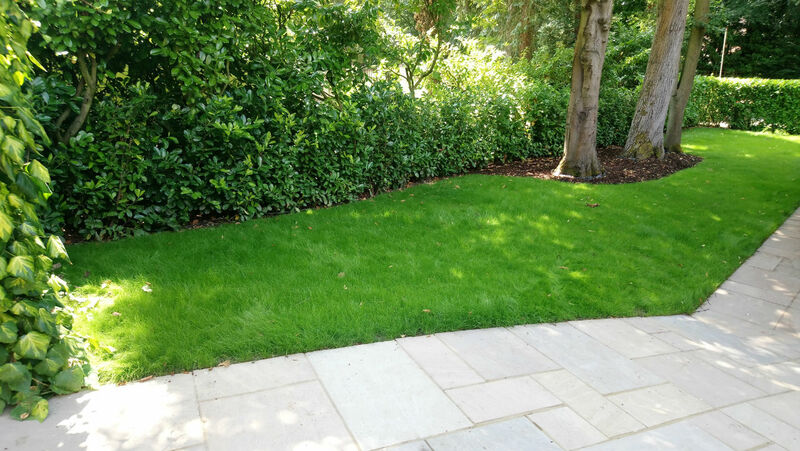 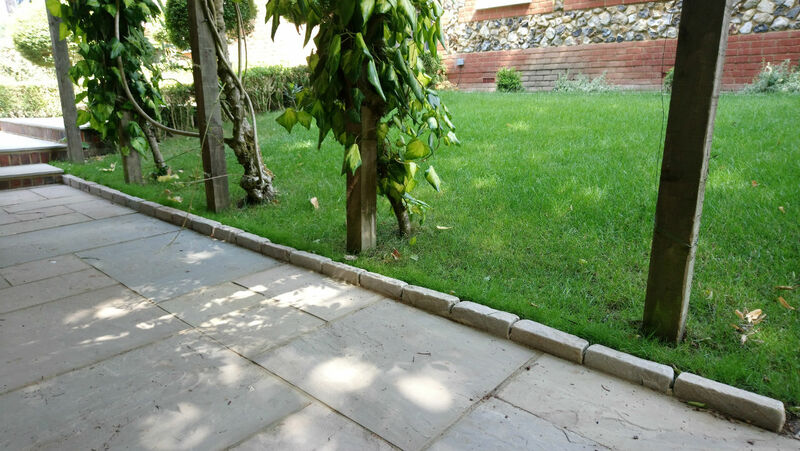 The brief was to clear, regrade and seed this large area to create a new lawn and also to create a new, more attractive, low maintenance planted area in the corner of the garden, next to the driveway. 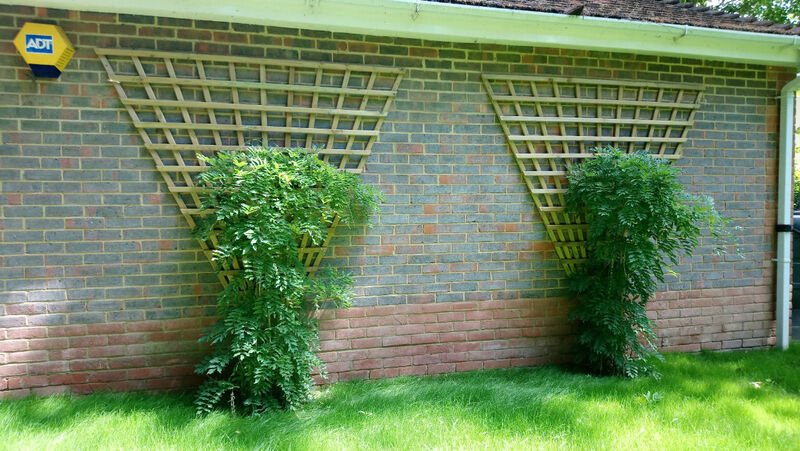 We also fitted new, custom made, trellis panels to the side of the garage wall and planted large Wisterias against them. 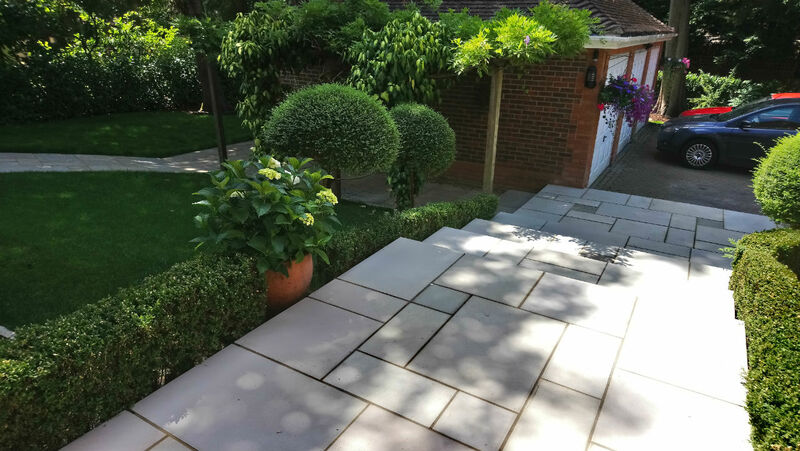 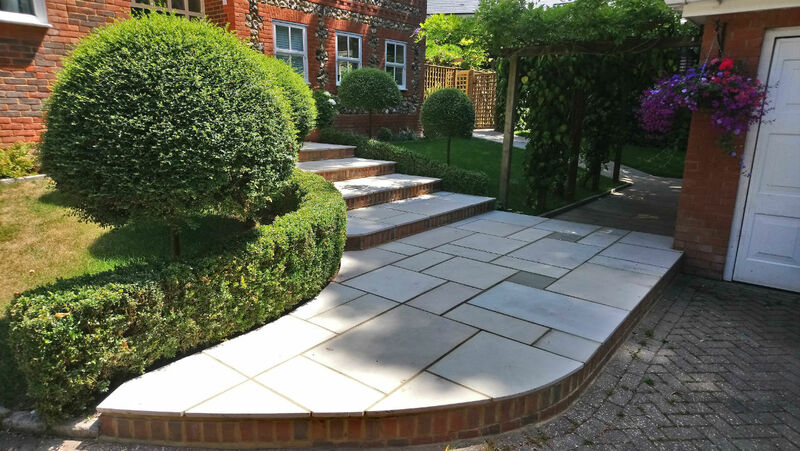 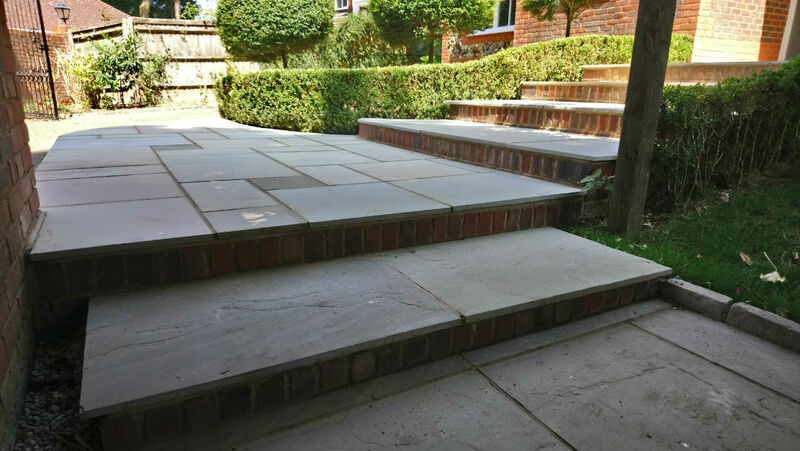 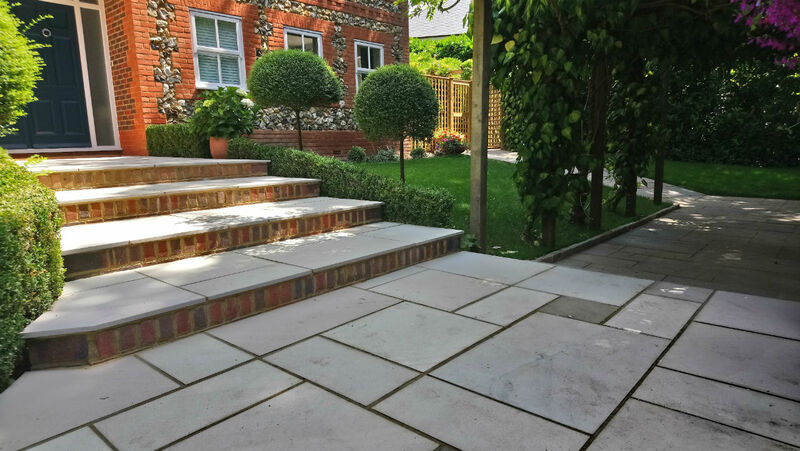 The rest of the brief was to lay new sandstone paving alongside and behind the garage and also to redo the steps leading up to the front door, which was done using sandblasted sandstone to give it a smart, contemporary look. 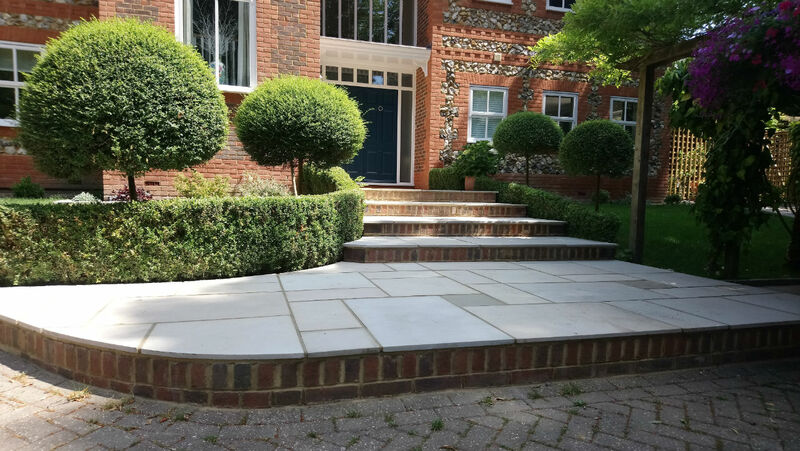 The client was very pleased with the final result, feeling that it achieved the goal of significantly improving the entrance to their property.